Subject: Can I Buy Coinbase Stock? 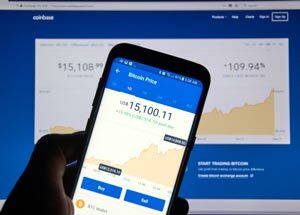 Coinbase raked in $1 billion in 2017, and the cryptocurrency exchange seems like the perfect backdoor investing opportunity to play the crypto market. After all, you can own a share of the exchange that generates billions without owning Bitcoin directly. But Coinbase is a private company, so you won't be able to buy Coinbase stock anytime soon. And even if it goes public, it might not be quite as good of an investment as it sounds. Today, we'll show you exactly why we wouldn't recommend buying Coinbase stock. All IPOs are subject to volatile price swings, no matter the industry. After Snap Inc. (NYSE: SNAP) went public on March 2, 2017, shares opened at an all-time high of $28.17 four days later, on March 6. But retail investors who bought shares of SNAP at those prices, hoping it would be the next Facebook Inc. (Nasdaq: FB), got burned. From today's opening price of $14.28, some early investors have now lost 49.30% of their original investment. On Jan. 19, ADT Inc. (NYSE: ADT) stock opened to the public at $12.65 per share. After reaching an intraday high of $12.97, the excitement around a new public offering died down, and the ADT stock price fell to $11.91 per share this morning. Investors who bought in at the peak have now lost 8.17% of their investment in under a week. As you can see, because of the volatile price swings, IPOs are not for those averse to risk. However, we still found a way to profit from the cryptocurrency market without having to buy a risky IPO. Money Morning readers can invest in it today. In fact, some of our readers have already made a profit of 23.43% in the two months since our first report about this company came out on Nov. 27, 2017. In that same time, the Dow Jones Industrial Average climbed just 11.71%. If you missed the report, though, it's okay. In the next 12 months, wealth management company DA Davidson projects this company's stock price could climb another 37.84%. That's why, today, we wanted to provide our readers with a backdoor crypto investing play through an established company that's been in business since 1999 and is worth $1.9 billion.